Recently, I was able to take a 2-week vacation back home to Korea. If you haven't been to Korea (though I may be a bit biased), I highly recommend that you make a trip out there!! 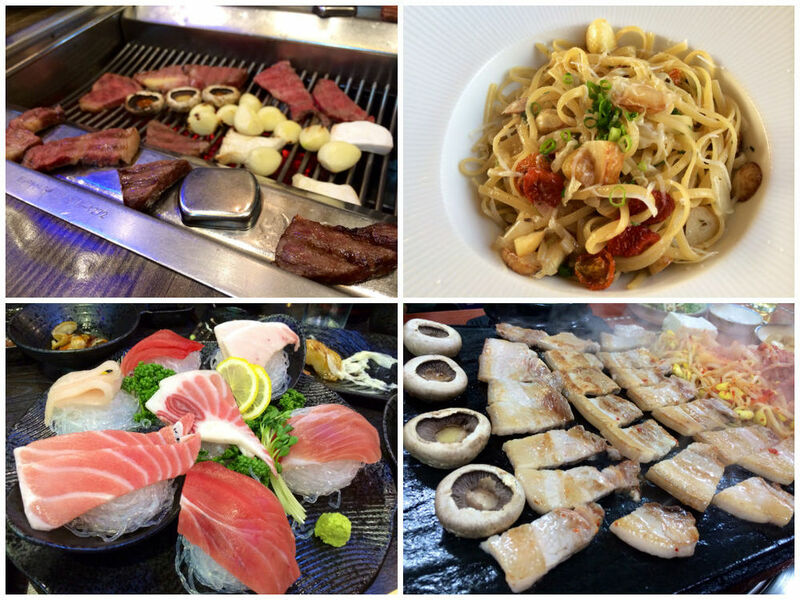 Seriously, if you are a foodie, then Korea is pretty much a foodie heaven on earth... The food is cheap yet delicious, and literally everywhere... I think a typical building on the street is about 3-4 stories high, with about 4-5 restaurants per floor. That's about 15 restaurants per building!! Since there are so many restaurants and the competition is so steep, I think that all of the restaurants have to be quite popular and make tasty food, because otherwise they would quickly go out of business. Being in downtown Baltimore, it's hard to access quality Korean food that is both delicious and well-priced. There's about 3-4 restaurants that are within a 10-minute distance from my house, but they are all overpriced and honestly, the food cannot compare to Korea. To find decent Korean restaurants, I have to venture out to a small K-town in Ellicott City, which is about 30 minutes from my place. Even there, though, the food is much more pricey than it is in Korea. This is the same case for Korean alcohol-- for example, a bottle of soju in Korea will cost $1-2, while a bottle in a restaurant here will cost about $12-15, plus tax! Quite ridiculous. What I also love about Korea is that there are bakeries and cafes EVERYWHERE!! There's seriously probably one cafe in every block or two, and a bakery in every 5 blocks.... I spent a lot of time just hanging out and getting work done at the cafes, because the ambience is just so pleasant. I may be generalizing, but I think overall, the Korean baristas also seemed to be more meticulous about their drinks than I was used to in the U.S, even in large chain cafes like Starbucks. On that note, I honestly feel like all of the fast-food and chain restaurants taste better in Korea (so give them a try when you're there! ); I rarely eat fast food here, but I had McDonald's and Burger King while I was there, and I have to say that the meat tasted less greasy and a bit cleaner in Korea. I think that they use a higher-quality meat, and this results in a juicy, flavorful burger. Even Starbucks, Dunkin Donuts, etc. have slightly different menus that cater to the Korean palate-- everything is delicious without being overwhelmingly sweet. 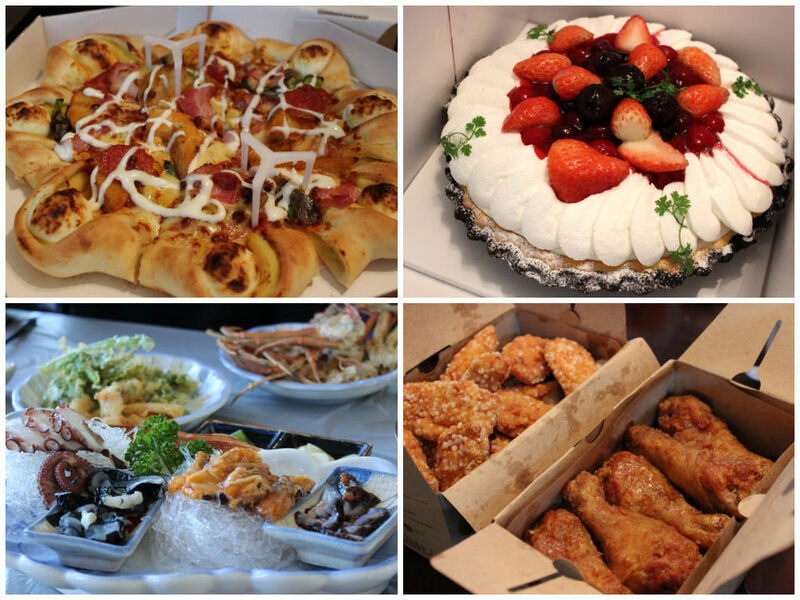 One of my favorite things to eat when I go back to Korea is actually pizza-- Domino's and Pizza Hut are actually considered more of a gourmet food there, and my dad said when he was growing up, it was a luxury food that most people couldn't afford. A large pie costs about $25-35 (pretty crazy, right? ), but it's soo worth it; again, very flavorful without being overly greasy or salty. My favorite pizza there has potato wedges, bacon, corn, and a sweet potato crust. I could seriously eat that everyday! just 2 blocks from my apartment-- restaurants galore! the cafe I visited most frequently while I was there-- so nice inside! Anyways, moving onto the recipe! This was one of my favorite foods growing up in Korea. My mom would make this at home, without the pasta (so it was more of a sausage stir-fry with peppers and onions), but I remember having it often at restaurants. I believe that the dish is originally Japanese, and also called "Naporitan." Supposedly a chef of the New Grand Hotel in Yokohama created this when he was inspired by one of the military rations in the 1950s. It's a very popular dish today in both Japan and Korea, and especially appeals to the palates of children and the younger generation. 1. Bring a large pot of salted water to a boil. Cook the pasta according to the package instructions. 2. While the pasta is cooking, smash and mince the garlic clove. Slice the onions, mushrooms, green pepper, and sausage. 3. In a large skillet, heat the olive oil over medium-high heat. Add the garlic and saute for about 1 minute. Add the onions and saute for about 2-3 minutes. 4. Add the sausages, bell peppers, and mushrooms. Saute until the sausages are cooked through, about 12-15 minutes. (If your sausages are pre-cooked, only cook for about 5-10 minutes). 5. When the pasta is done, drain and reserve some of the cooking water. 6. When the sausage is done, add the ketchup and Worcestershire sauce to the skillet. Give a good stir, and then add the pasta cooking water. Season with salt and pepper to taste. Feel free to add more ketchup if you wish. 7. Add the spaghetti to the pan and toss with tongs to mix well. Add the milk and mix again. Transfer to serving plates and then top with parmesan cheese.